Zipato Home Management is a new way to run your home from anywhere. Zipato is the first to bring all the best of home automation technology together in one simple solution that you can manage remotely from your smart phone, iPad or computer. So now, when you’re away and everyone’s going in different directions, you can still know what’s happening at home and stay in control. Like making sure you turned off the lights after you left. Or that the kids got home from school okay. Adjusting the thermostat. Checking door locks. Turning off appliances-all the things that give you control and peace of mind regarding your home and family. Zipato is home automation made simple-and simply better-because now you stay connected everywhere you go and you can easily automate your daily routine tasks. Zipato uses both Z-Wave and Zigbee technologies – a wireless Radio Frequency-based communications technologies – to transform a singular device into an intelligent networked device that can be securely monitored and controlled wirelessly. To ensure security, Zipato communications are fully-encrypted. Zipabox connects all your Zigbee and Z-Wave components (Home Dimmer Module, Remote Management Thermostat, etc.) to your existing Internet router. The router provides an internet connection allowing you to control your home from your computer or mobile phone. It’s that easy. Can I install Zipato in my home? What we’re most proud of with Zipato is that it is extremely user friendly. We’ve been told it’s much easier to navigate than most home remote controls. And if you have any difficulties, we have a dedicated support staff that is just a click away. They’ll walk you through the process. Don’t forget to visit our video tutorials page for details instructions. No.You can use Zipato to control your device over Internet or mobile phone without monthly subscription. However, there are some additional cloud services for which you need to pay additionally. For example, if you want 24/7 custom alerting service to alert you right on your mobile phone according to any event previously defined by yourself. How am I wasting energy at the plug? Unlike water, which we fully control through a faucet, electricity flows directly to plugged-in electronic devices and appliances whenever the devices need power. In many cases, electronics are invisibly consuming power all the time, even though we may only be using them a few hours a day. Standby power refers to the base level of power consumed by electronic appliances when they are waiting to be used. It is one of the ways in which we waste significant energy at the plug. Other electronic devices remain in active mode all the time while they are plugged in, i.e. no standby mode exists. Lastly, some electronic devices draw power even when they are turned off – this is commonly referred to as vampire power. How much energy do plugged-in appliances use? Plugged-in appliances make up a surprisingly high share of home and office energy use today: 40% of home, 26% of office on average. Depending on your specific situation, your use may be higher or lower, but plugged-in devices are the fastest-growing energy load in homes and offices, so it’s time to reduce this waste now! How does the Zipato plug-in work? The Zipato PLUG-IN device plugs directly into your existing wall outlet, and monitors and controls the energy consumption of your plugged-in devices. The plug-in wirelessly communicate with Zipabox in your home. Zipato’s servers allows you to view real-time energy consumption, set schedules for turning your devices off and on, and keep track of your savings! How much energy can I save with the modlet? The Zipato plug-in can save you approximately 10% off your electricity bill, with minimal effort. The actual amount depends on 1) the types of appliances you have, 2) how much the modlets are used and 3) how many plug-ins you have. 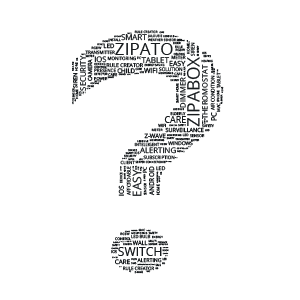 Can I use the Zipato plug-in in my home? Yes! There are many opportunities to save money at home with the Zipato plug-in. Use the plug-in with your home entertainment center and plug in your television, cable box, DVD player, stereo or game console. Or use it with your home office and plug in a monitor, printer or other office electronics. It can even be used in the kitchen with small appliances or in a bedroom with a window air conditioner.